Subjects and Themes(Dreaming): Bush Plum (Arnwekety). knowledge of her country. She also belongs to the oldest living generation of Utopian artists. Her younger sisters, Polly Ngale and Angelina Pwerle Ngale are also fellow accomplished artists. Kathleen began her art career in the late 1970’s in the medium of batik with over eighty other women from the Utopia Region in Central Australia. Her work in batik is featured in ‘Utopia A Picture Story’. When the acrylics on canvas movement swept Utopia in the late 1980’s Kathleen, like the other women, swiftly changed mediums. Kathleen’s popularity as an artist grew in the early 2000’s for her simplistic ‘Anwekety’ (Bush Plum or Conkerberry) paintings. Her work has been exhibited around the globe and is also featured frequently in Aboriginal Art Auctions.Kathleen speaks little English, but absolutely loves to talk particularly about her Dreamings and her country. She is enthusiastic about her work and continues to try and teach the wider world about her paintings and the Anwekety that features in them.This amazingly energetic elderly woman has a vibrant quality in her work that is unbeatable. Kathleen’s paintings reflect her energy and colour. The paintings are being well received not only amongst the traditional Aboriginal art collectors, but the new wave of art lovers wanting to incorporate the element of traditional style of the indigenous people, and take advantage of the amazing colour combination and effect of Kathleen’s paintings. 2000 “17th National Aboriginal and Torres Strait Islander Art Award Exhibition”, Museum and Art Gallery of the Northern Territory, Darwin. 2000 “Urapunja Artists in Brisbane”, Michael Sourgnes, Brisbane. 2000 “Out of the Desert”, Desert Gallery, Sydney. 2001 “Utopia a Special Painting Place”, Bett Gallery, Hobart. 2001 “Desert Mob Art Show”, Araluen Arts Centre, Alice Springs. 2001 “Bush Plum Dreaming”, Indigenart, Perth. 2002 “Two Sisters: Kathleen and Polly”, Lorraine Diggins, Melbourne. 2002 “Australian Modern”, Fondazione Mudima, Milan, Italy. 2004 “Desert Mob Art Show”, Araluen Arts Centre, Alice Springs. 2005 “Mbantua Gallery USA Exhibitions”, Mbantua Gallery, New York & Connecticut, USA. 2006 “Senior Women of Utopia”, GalleryG, Brisbane. 2006 “Colours of Utopia”, Japingka Gallery, Fremantle. 2006 “Lorraine Diggins Exhibition”, Lorraine Diggins, London. 2007 “Pattern of Power, art from the Eastern Desert”, Simmer on the Bay Gallery, Sydney. 2008 “Power of Place”, Tandanya Cultural Institute, Adelaide. 2008 “Dreamings – The Land”, Outback Aboriginal Land, Caulfield. 2008 “25th National Aboriginal and Torres Strait Islander Art Award Exhibition”, Museum and Art Gallery of the Northern Territory, Darwin. 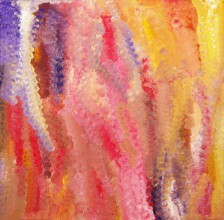 2010 “Spring”, Kate Owen Gallery, Rozelle.